The masters of magic have converged on a remote island, where Natsu and his teammates go head-to-head with Grimoire Heart - a dark guild led by one Fairy Tail's former masters. Revelations from the past and long-buried secrets continue to come to light as Cana is granted a sacred new spell, and an excommunicated guildmate makes an unexpected return. 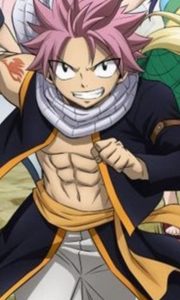 If Fairy Tail has any hope of defeating their diabolical opponents, they're going to hav.. The mightiest team of mages from the magic kingdom's most infamous guild faces evil rising from the embers in this action-packed feature-length adventure! Follow Fairy Tail's dream team - Natsu, Gray, Erza, Lucy, Wendy, Happy, and Carla - as they lend a helping hand to a girl with little memory and a grudge against wizards. As they uncover clues about her mysterious past, a lunatic prince hatches a half-baked plan to sacrifice her in ex..
Own Fairy Tail - The Movie - Phoenix Priestess DVD from Deff, DVD, Blu-Ray & 4K Video Specialists - Free UK Delivery..